The Ramboll Group has entered into an agreement to acquire the US engineering and design consultancy OBG, adding 900 experts within water, energy, environment and advanced manufacturing with effect of 1 January 2019. With the acquisition Ramboll now has 2,000 experts in the US and 15,000 globally. 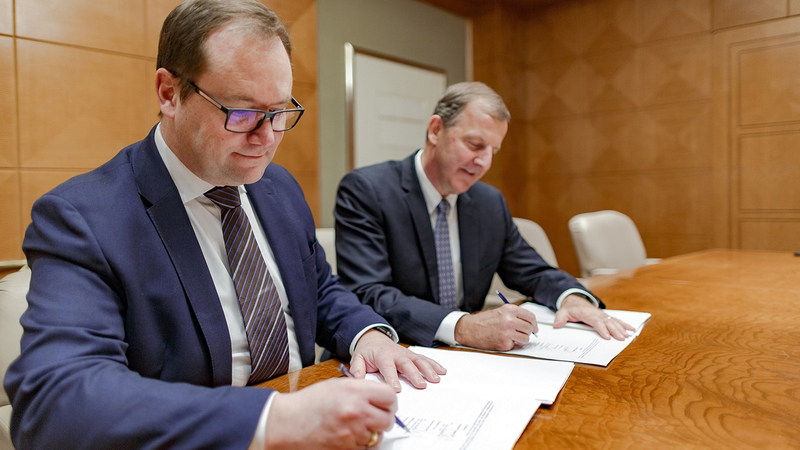 The acquisition of OBG is an exciting step forward in Ramboll’s strategic ambition to grow in the US and strengthen its portfolio within water, energy and environmental services, making Ramboll a multidisciplinary player in the US. “Together with OBG we can build on the platform we have developed in the US. By combining our analytical and consulting-oriented business in the US with the strong project execution capabilities of OBG, we will be able to deliver full-scale, integrated solutions to our clients - from front-end consulting work to back-end execution,” Jens-Peter Saul says. There was strong support from OBG’s shareholders with more than 91% of OBG shares cast in favour of the acquisition, clearly reinforcing the strategic and cultural fit. Founded in 1945, OBG has delivered integrated engineering solutions within water, energy, environment and advanced manufacturing for more than 70 years. The company has extensive client relationships in both the private and public sectors, and a particularly strong position in the eastern half of the United States. OBG is working on a number of significant projects such as one of the world's largest advanced wastewater treatment plants located in Washington, D.C., an ambitious programme to help New York State agencies increase energy efficiency and reduce greenhouse gas emissions 40% by 2030, and on the restoration of the natural beauty and value of Onondaga Lake and surrounding habitats in the state of New York, recognised as one of the largest lake restoration projects in North America. At the time of the acquisition, the combined revenue of Ramboll and OBG amounts to DKK 12.7 billion (USD 2 billion). During the last five years Ramboll has grown substantially in the US. At the end of 2014, Ramboll acquired the US-based global consultancy, ENVIRON, adding more than 1,500 environmental and health science specialists globally, with 800 of those in the US. During the last year alone, Ramboll has grown organically by 9.5 percent in the US, which is now one of the company’s fastest growing and most profitable regions. With the new acquisition doubling its size in the US, Ramboll is establishing a new Principal Business Unit for the Americas covering the US, Canada, Mexico and Brazil with services in water, energy, environment and health. Effective 1 January 2019, the business unit will be led by OBG CEO Jim Fox as Managing Director. The ambition is for the unit to grow from the current 2,000 employees to 3-4,000 US employees in four to five years.